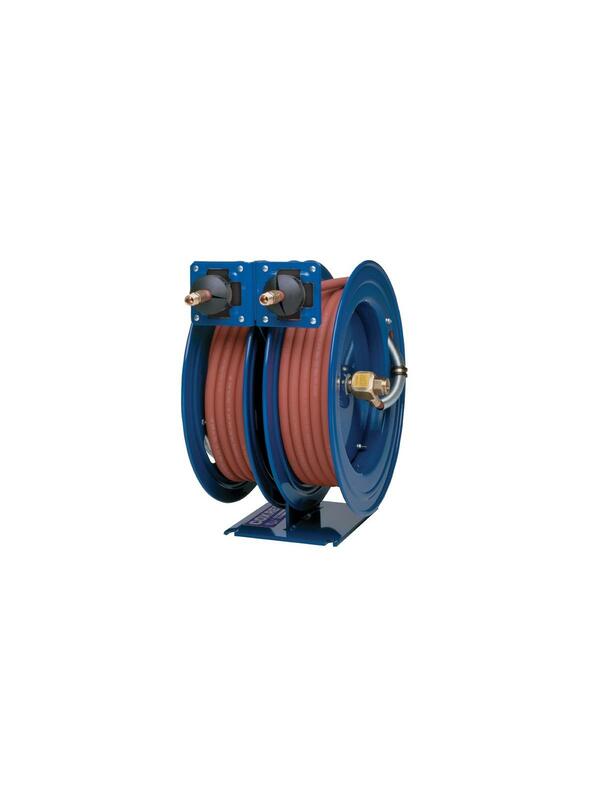 Compact two reel assembly for dual hose applications, each reel operates independently. Guide arm adjusts to wall, floor and overhead positions. Single expanded, 1/4" steel mounting base for increased stability and space efficiency. 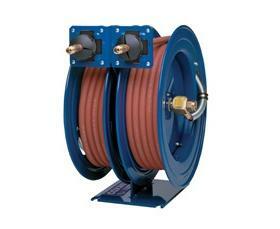 One mounting pattern allows 1/2 the installation time required to install 2 reels at one station. 1" solid steel axle and lubricated precision bearings for smooth rotation. Durable proprietary CPC™ powder coat process. Rolled edges and ribbed discs provide strength and safety. FOB Shipping Point. See Related Items tab for Air/Electric Combo Reels.